Inspiration can come from many sources. 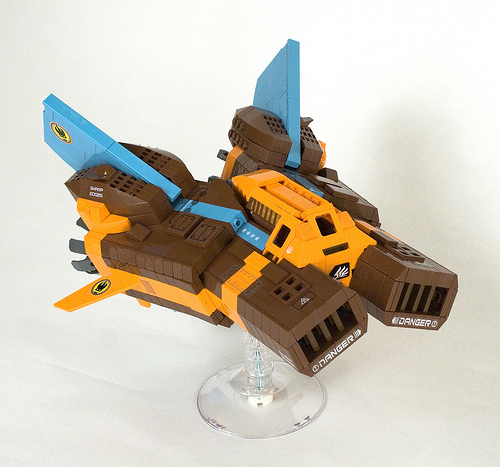 In the case of this L-36 Lapin courier ship, the color scheme was inspired by a pair of sneakers. Does the ship remind anyone else of a bunny? Thanks! I didn’t intend a bunny, but I couldn’t shake a feeling of resemblance, as I finished the MOC. I almost threw a Nesquick bunny fig into a few photos with it. The colors here are absolutely perfect together. I want those sneakers now.